The multiple advantages aluminum provides OEMs and other manufacturers makes demand for aluminum fabrication in Green Bay an increasingly requested service from the expert team at Titletown Manufacturing LLC. Aluminum offers a wide range of finishing options as well as the production of non-standard shapes. The metal’s ability to resist corrosion and deliver exceptional strength, especially in cold environments, makes it a highly valued material in the manufacturing process. Aluminum also features superior electrical and thermal conductivity, highlighted by uniform quality. Titletown Manufacturing’s welders have expertise in welding aluminum as part of the company’s aluminum fabrication services. Titletown Manufacturing also partners with a vendor specializing in the anodize aluminum coating process when requested. Titletown Manufacturing’s vertical milling machine contributes to consistently high-quality parts within .0001 tolerance. 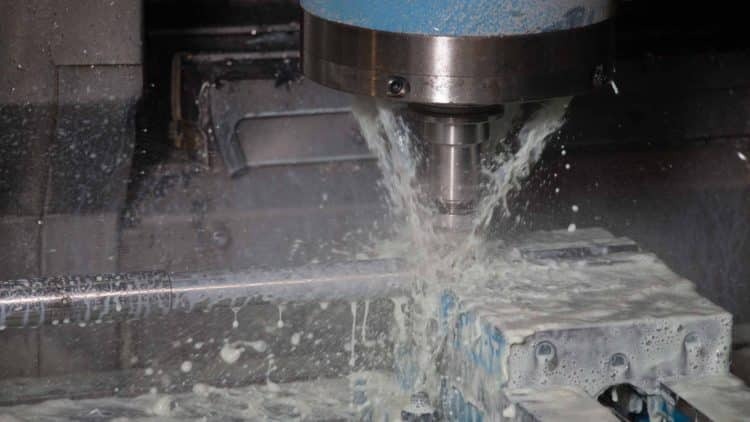 The company’s CNC tool assets run on Mastercam and MazaCAM programming software to complete jobs with minimal turnaround times. In addition to aluminum, Titletown Manufacturing uses mild steel, plastic, brass, bronze, hardened alloy and stainless steels up to RC 65 in its fabrication operations. “Our aluminum fabrication capabilities give customers another reason to work with us and minimize the number of suppliers on a project,” said Titletown Manufacturing co-owner Chris Fuss. “Anything we can do to simplify the manufacturing process while maintaining quality goes directly to our customers’ bottom line. Titletown Manufacturing LLC, a trusted metal fabrication shop with more than 60 years of experience in metal parts machining, producing high-quality components and providing custom CNC machining, metalworking, grinding, and custom metal fabrication solutions for a wide range of industrial customers throughout the region. The company employs 30 people at its facility at 1252 Marine Street in Green Bay, Wisconsin. For more information on Titletown Manufacturing or to request a quote, please go to http://www.titletownmanufacturing.com/or call 920-435-9074. GREEN BAY, Wisconsin – Machine shops are a dime a dozen. So what makes Titletown Manufacturing LLC one of the machine shops of choice for industrial customers throughout Wisconsin and the Midwest? Titletown Manufacturing cross-trains its technicians on a variety of tools and machines to ensure the Green Bay-based company can meet its just-in-time supply responsibilities regardless of staffing or workload challenges. With the capability of using materials as varied as mild steel, aluminum, plastic, brass, bronze, hardened alloy and stainless steels up to RC 65, Titletown Manufacturing’s fabrication operations are a good fit for a wide range of industrial customers. The company also produces parts for OEMs ranging from one-quarter inch to 19 inches in diameter, and one-half inch to 80 inches in length. Titletown Manufacturing complements its in-house capabilities by partnering with high-quality vendors to complete all aspects of a job from inception to delivery. Some of these services include water jet, laser and flame cut material as well as coatings such as black oxide, anodize and paint. Titletown Manufacturing LLC, a trusted metal fabrication shop with more than 60 years of experience in producing high-quality components and providing custom CNC machining, the enhanced capabilities of a vertical milling machine, metalworking, grinding, and fabrication solutions for a wide range of industrial customers throughout the region. The company employs approximately 30 people at its facility at 1252 Marine Street in Green Bay, Wisconsin. GREEN BAY, Wisconsin – Titletown Manufacturing LLC technicians are cross-trained on a wide range of tools and machines, with the vertical milling machine a trusted standard in the company’s ability to meet its just-in-time supply responsibilities. Vertical milling machines have a spindle that moves in a vertical orientation (up and down) over a block of metal. It functions much like a drill press in that it features a quill that can be adjusted to various depths. Titletown Manufacturing uses CNC (Computer Numerical Control) technology to produce parts within .0001 tolerance, with the vertical milling machine included in its stable of high-quality tools. This versatile machine is capable of creating a wide range of shapes, sizes and depths. “While a vertical milling machine may not conjure up images of advanced technology, it serves an important role in our fabrication capabilities,” said Titletown Manufacturing co-owner Dan Hilliard. Titletown Manufacturing uses a wide range of materials in its welding and fabrication operations, including mild steel, aluminum, plastic, brass, bronze, hardened alloy and stainless steels up to RC 65. 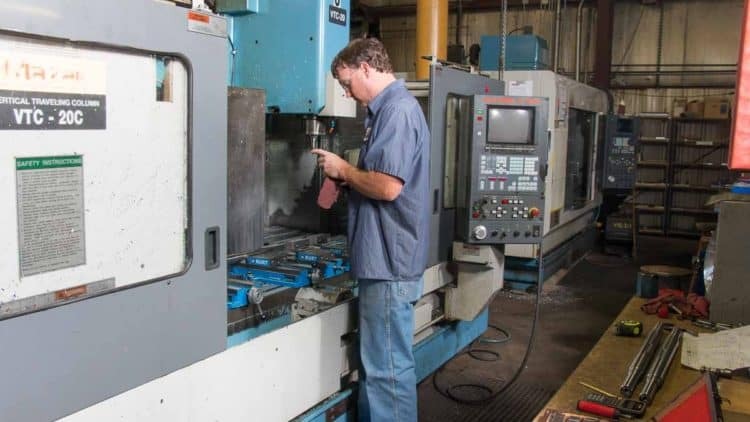 Titletown Manufacturing LLC, a trusted metal fabrication shop with more than 60 years of experience in producing high-quality components and providing custom CNC machining, metalworking, grinding, and fabrication solutions for a wide range of industrial customers throughout the region. The company employs approximately 30 people at its facility at 1252 Marine Street in Green Bay, Wisconsin. For more information on Titletown Manufacturing or to request a quote, please go to titletownmfg.com or call 920-435-9074.